Cambridge Refrigeration Technology Ltd is an independent company specialising within the field of refrigerated transport and environmental testing. CRT's history goes back over 80 years. 1937 Originally started as a part of Cambridge University, before the 2nd World War as: "The Low Temperature Research Station". 1945 Changed name to become: "The Refrigerated Cargo Research Council". 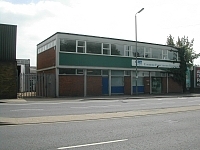 Had offices in Falcon's yard in central Cambridge, now Lion Yard shopping centre. 1962 Changed name again to become a member-based research association called: "Shipowners Refrigerated Cargo Research Association" 'SRCRA'. 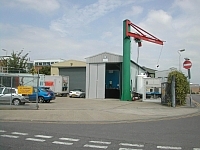 Moved to custom built premises in Newmarket Road. 1975 Built our second environmental chamber for testing '40' containers' and 13.6m trailers. 1993 Became "Cambridge Refrigeration Technology" as the trading arm of SRCRA. 2001 Became Cambridge Refrigeration Technology Ltd trading as a contract-based research development and environmental test organisation with a subscription-based information service. 2013 Modified Environmental test chambers to allow low temperature testing for pharmaceutical transport.